﻿ SENE FOLLICLE CUT IPHYM Herb Cassia angustifolia Vahl. SENE FOLLICLE CUT IPHYM Herb Cassia angustifolia Vahl. 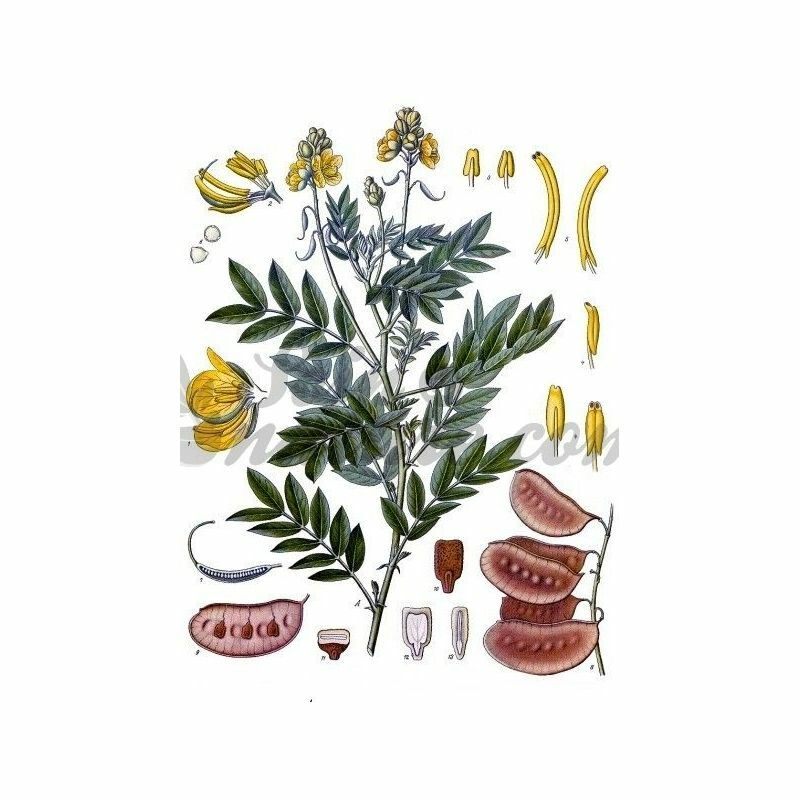 The laxative senna activity lies in stimulating bowel functions: it increases the so-called intestinal peristalsis. The bolus is moved more quickly through the digestive tract. His action appears only after about 10 hours. Its use should be limited to occasional requirements, because Senna may have an irritant activity on the intestine and lead to the development of bowel habit. Drink a cup morning, afternoon and evening between meals. Treatment with senna is never exceed 8 to 10 days. 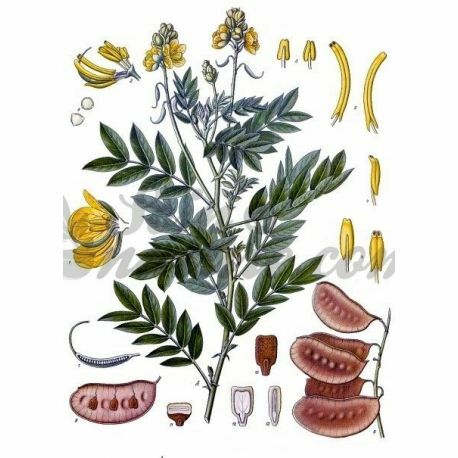 Senna (like many other laxative herbs: buckthorn, rhubarb, etc.) should never be used for long periods - generally never more than ten days - or way too often repeated. Indeed, such treatments lead to irritation of the colonic mucosa which can cause colitis. After a few days of taking Senna - time to eliminate the "plug" - it is necessary to develop a treatment that aims to rehabilitate the intestine with the adoption of good hygienic-dietary rules and decision rich plant fibers. Senna is against-indicated in pregnancy or in breastfeeding women, digitalis treatment and in children under 12 years. It is not advisable in case of inflammatory bowel disease. Senna is a small shrub of 50 cm high on average, but can reach up to 3 m depending on the variety. Its woody stems at the base branch toward their ends. The pinnate compound leaves are yellowish-green leaflets, narrow and lance-shaped, leathery, 5 to 6 cm long and 2 wide, are arranged on each side of a main shaft spline. The flowers veined yellow brown, are grouped in clusters at the end erect stems. The fruits are membranous pods light brown, flat and wrinkled from 3 to 5 cm in length that contain seeds. It grows in sub-desert regions mainly in East Africa (Somalia, Yemen) and southern India where it is grown, and in the tropics. For flowers, leaves, berries and essential oil seeds. Pour 500 ml of boiling water (removed from the heat as soon as boiling) 1 c. Coffee (3-5 g) of medicinal plant (or mixture of plants), then cover. Let steep for 3 to 5 minutes for fresh plants, and 5 to 15 minutes to dry the plants. Strain and drink the tea hot or not after adding a little honey or natural syrup. Prepare your herbal teas and herbal infusions with low mineral water. Water plays an important role as it conveys the properties of plants. Medicinal herbal drinks usually work best on an empty stomach. Often, herbal teas and infusions in small sips throughout the day are suggested to drink, but it is also possible to divide the daily dose medicinal plants in 2 or 3 doses. 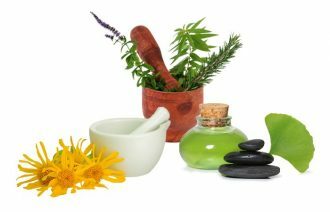 Indications are we simply taking the natural remedy required.